Emilio Pujol: (10 September 1886 – 21 November 1980) was a composer, guitarist and a leading teacher of the classical guitar. Ferdinando Carulli (b Naples, 9 Feb 1770; d Paris, 14 Feb 1841). Italian guitarist and composer. He was born into a well-to-do family and was taught the rudiments of music by his cello teacher, a priest, though around the age of 16 his interest shifted decisively to the guitar. The leading Italian guitarist of his time, he moved to Paris some time after the birth of his son (1801) with his French-born wife Marie-Joséphine Boyer. The first indication of his presence outside Italy dates from around 1803, when Gombart of Augsburg brought out a handful of publications; other works were published in Paris and Vienna in 1806–7, principally by Leduc, Pleyel and Artaria, and in Hamburg (Böhme) and Milan (Monzino). From 1809 Carulli made Paris his permanent home, where he was at the centre of the phenomenon known as guitaromanie, establishing himself as a virtuoso, composer and teacher. According to contemporary music critics, Carulli was the first to reveal to Paris audiences what the guitar was capable of in terms of expressivity, timbre, harmony and virtuosity, and he brought about a change in taste and performing practice. Within a few years he also published dozens of the manuscripts which he had brought with him from Italy. The work which signalled his success more than any other was the Méthode complette op.27 (1810 or 1811), which was soon being reprinted repeatedly both in France and abroad, and for decades was the basic teaching work for entire generations of guitarists. For years he had practically no serious rival, except for his two fellow Italians Matteo Carcassi and Francesco Molino. His privileged position lasted at least until 1823, when Fernando Sor arrived in Paris. In 1826 he built and patented, together with the Paris instrument-maker René Lacote, an unusual, ten-string guitar, which he called a decacordo (popularized by Narciso Yepes in the 20th century), for which he also wrote a Méthode complete, op.293 (1826). A pioneer in the evolution of the six-string guitar and its use as a solo instrument, Carulli was one of the founders of the guitar’s modern expressive vocabulary. His guitar music displays elements borrowed from contemporary piano and violin writing, with virtuoso passages as unusual as they were technically demanding: rapid arpeggio figurations, rising phrases and scales in single or double lines along the entire length of the fingerboard, rapid passages in 3rds, 6ths and octaves (both broken and together), and the use of left-hand legato technique, glissandos and harmonics. Another important current in Carulli’s work as a composer was his programme music on pastoral, mythological, ‘meteorological’, military and political themes, e.g. the Sonata sentimentale (Napoleone il Grande) (1807), La Paix, pièce historique op.85 (1814), the divertimento La girafe à Paris op.306 (1827) and La prise d’Alger op.327 (1830). 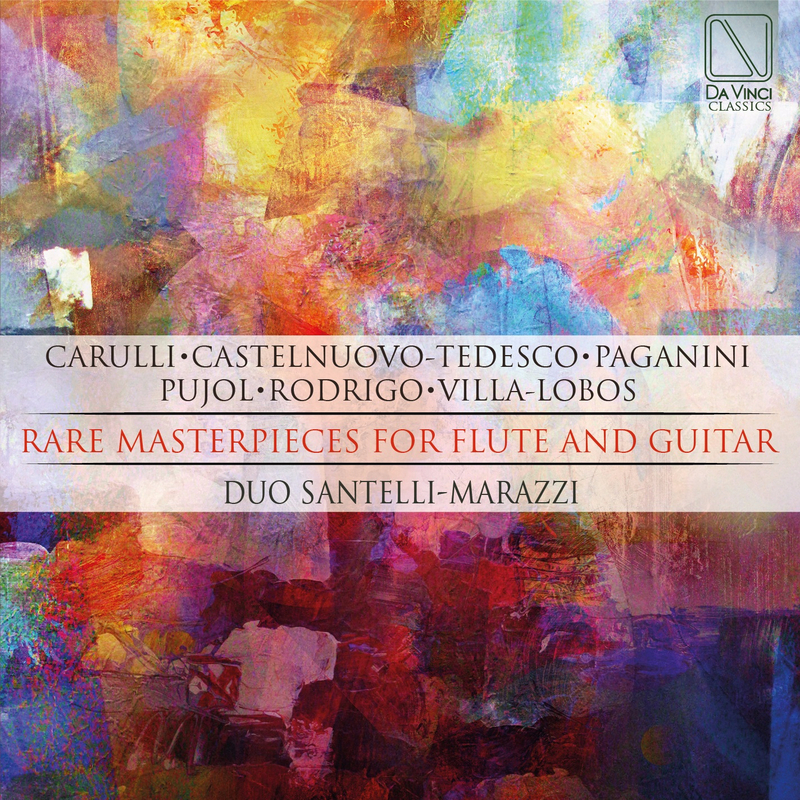 But compared with the work of other contemporary guitarist-composers the defining character of Carulli’s output is the strong showing of chamber music, which accounts for more than half of his total of 366 opus numbers. It is written for a variety of instrumental combinations – duos, trios and even quartets – which evoke a clientele very different from the stereotype of the lone amateur. Various songs and arias for soprano and guitar date from this Italian period. Carulli was tireless as a teacher: in addition to his Méthode op.27 and its successors, his most successful educational collections include L’utile et l’agréable op.114 (?1817), which contains the famous 24 Preludes, the Morceaux faciles op.120 (1817 or 1818) and the series entitled Un peu de tout op.276 (1825). Carulli also published a treatise on transcription, called L’harmonie appliquée à la guitare (1825), a unique document in guitar literature. Gustavo Carulli (b Livorno, 15 June 1801; d Boulogne-sur-mer, 27 Oct 1876), the son of Ferdinando, studied singing and composition with Paër and Isouard. Like his father, he was a guitarist and teacher and published a guitar Méthode, op.4 (Paris, 1825). He taught singing at the Paris Conservatoire, and wrote a Méthode de chant (Paris, 1838) dedicated to his friend Gilbert Duprez. He also made transcriptions and composed vocal and instrumental chamber works and a farsa on a libretto by Gaetano Rossi, I tre mariti (Milan, 1825), which was performed at La Scala on 18 March 1825. After pursuing a career as an opera composer in France with no success, he lived in London from 1845 for a few years and then retired to Boulogne, where he continued to teach singing and harmony until his death. One of his pupils was the organist Alexandre Guilmant. Joaquin Rodrigo: (b Sagunto, 22 Nov 1901; d Madrid, 6 July 1999). Spanish composer. Blind from the age of three, he began his musical education at an early age and took lessons in composition with Francisco Antich in Valencia. In 1927 he moved to Paris as a pupil of Dukas at the Ecole Normale. After his marriage in Valencia in 1933 to the Turkish pianist Victoria Kamhi, he returned to Paris for further study at the Conservatoire and the Sorbonne. He lived and worked in France and Germany during the Spanish Civil War, and returned finally to Madrid in 1939. Soon after the première in 1940 of his first concerto, the Concierto de Aranjuez for guitar, he began to be recognized as one of the leading composers in Spain. Apart from writing a great deal of music during the following years, he was active as an academic and music critic, writing for several newspapers and publishing articles on a wide range of topics. He also worked in the music department of Radio Nacional and for the Spanish National Organization for the Blind (ONCE). In 1947 he was appointed to the Manuel de Falla Chair of Music at Complutense University, Madrid, created especially for him, and in 1950 he was elected to the Real Academia de Bellas Artes de S Fernando. During these and subsequent years he made several tours throughout Spain, Europe, the Americas and Japan, teaching, giving piano recitals and lectures, and attending concerts and festivals of his own music. Amongst the most important of these were Argentina (1949), Turkey (1953 and 1972), Japan (1973), Mexico (1975) and London (1986). Distinctions awarded to Rodrigo included the Gran Cruz de Alfonso X el Sabio (1953), the Légion d’Honneur (1963), election as a member of the Académie Royale des Sciences, des Lettres et des Beaux-Arts of Belgium (1978) to the place left vacant on the death of Benjamin Britten, and honorary doctorates from the University of Salamanca (1964), the University of Southern California (1982), the Universidad Politécnica de Valencia (1988), and the Universities of Alicante, Madrid (both 1989) and Exeter (1990). A series of concerts and recitals to celebrate his 90th birthday took place throughout the world during 1991 and 1992. Two significant distinctions of Rodrigo’s old age were the conferment of the hereditary titles ‘Marqueses de los Jardines de Aranjuez’ on the composer and his wife Victoria by King Juan Carlos I in 1992, and the award of the Premio Príncipe de Asturias de las Artes in 1996. During the second half of the 20th century Rodrigo came to occupy a position in Spanish musical life close to that of Manuel de Falla in the first. Like his mentor, he cultivated a style far removed from the major currents of European musical development and, as with Falla, his music needs to be judged in the context of Spain’s classical and traditional music, art and literature. His compositions number around 170, including 11 concertos, numerous orchestral and choral works, 60 songs, some two dozen pieces each for piano and guitar, and music for the ballet, theatre and cinema. His published writings (1999) also demonstrate a remarkable breadth of knowledge of music and the arts. Rodrigo’s music attracted favourable attention from both critics and performers from the start of his career, first in Valencia and Paris and subsequently worldwide. His first two guitar concertos, Concierto de Aranjuez and Fantasía para un gentilhombre, also achieved remarkable popularity. From the late 1970s onwards, however, appreciation of his music began to broaden. Wider knowledge of his music demonstrated that the charge that Rodrigo merely repeated the formula of his first concerto in later ones could no longer be substantiated, and recordings showed the quality of such works as the symphonic poem Ausencias de Dulcinea (1948), the Scarlatti-inspired piano suite Cinco sonatas de Castilla (1950–51), the Invocación y danza for solo guitar, written in homage to Falla (1961), the austere Himnos de los neófitos de Qumrán (1965), the brilliant Concierto madrigal for two guitars (1966), based on a Renaissance love-song, or the serenely beautiful Cántico de San Francisco de Asís (1982). Happily the composer’s 90th birthday was also the occasion for thoughtful and appreciative critical re-evaluations of Rodrigo’s music. Rodrigo’s music was fundamentally conservative, ‘neocasticista’, or ‘faithful to a tradition’, to use the composer’s own words. His first works revealed the influence of composers such as Granados, Ravel and Stravinsky, but his individual musical voice was soon heard in the songs, piano works and orchestral pieces composed during the 1920s and 30s. As he matured, his wide knowledge of and sympathy with the music and culture of earlier times bore fruit. His forms were traditional, but appropriate for his purposes, and his musical language, drawn from both Classical and nationalist sources, underpinned a melodic gift of remarkable eloquence. He made many of the finest settings of classical Spanish poetry, his guitar pieces are in the central repertory, and his concertos are the most significant such works composed in Spain. Duo Santelli-Marazzi (Flute & Guitar), The Duo Santelli Marazzi was born in 2010 by the cooperation of two teachers from Scuola di Musica “G. Moro “of Viadana engaged in the rediscovery and enhancement of the huge repertoire of music composed for their formation. Since their inception, they have won the audience’s favor for their brilliant performances and for their popularity concert conference. They have held concerts for various institutions and performances such as: “Appuntamenti musicali e culturali all’Accademia di Scienze, Lettere e Arti di Modena”, Palazzo Ducale in Sassuolo and Festival “Oltre la musica di Lodovico” in Viadana. FELICE SANTELLI, Flute He has studied at “A.Boito” Conservatory in Parma, where he brilliantly took his diploma under M°C.Ferrarini’s direction. The two following years he attended the “Scuola Musicale di Milano” where he specialized with M°C.Tabarelli. As a regular student he has attended courses and master classes with world-famous teachers, like R.Fabbriciani, D.Formisano, M.Bignardelli, F.Florio, B.Cavallo and J.Galway. In 2006 he attended a chamber music workshop about Mozart’s Flute Quartets, held by the “String Trio” of La Scala Philharmonic Academy. He has entered musical contests and was awarded the 2nd prize (the 1st not being assigned) at “Città di Verucchio (Rimini)” National Contest in 2000. He has recorded several CDs, both as a soloist and a flute player in a chamber ensemble. As a concert artist he has taken part in many musical festivals, being a solo player or a member of chamber, vocal and instrumental ensembles (among them Philharmonic Orchestra of Mantua, Aloisiana Orchestra of Castiglione delle Stiviere MN, Lodoviciano Festival Orchestra, Santelli-Marazzi Flute&Guitar Duo, Phoenix Flute Quartet). Moreover Felice Santelli has joined the musical festival “ Apropos of Amadeus” in Sala Baganza (PR), playing Mozart’s K.156 Duets, in a duo with flutist Roberto Fabbriciani; he has taken part in remarkable events organized by “Parma Lirica” association; he has played Mozart’s “Flute and String Quartets” together with La Scala String Trio, on Mozart memorial days at Parma Conservatoire and last but not least he has held concerts with pianist Marino Cavalca in Trois Rivières (Canada). Besides playing in concerts, he has also been teaching flute for many years in music workshops at Mantua state schools. He is a flute and music theory teacher at several music institutions and schools, among them the “Scuola di Musica G.Moro” in Viadana and the “A.M.S.” in Dosolo. LUCA MARAZZI, Guitar Born in Piacenza, he graduated from the Conservatory “Arrigo Boito” in Parma with Enrico Tagliavini and completed his studies with Giampaolo Bandini and Luca Lucini. He studied composition with Giorgio Tosi and attended masterclasses with Vincenzo Saldarelli and Thomas Kirchhoff (Amadeus Guitar Duo). In solo and in chamber music group he performed concerts in various Italian cities and in Japan. With the Quartet Arquà he performed “Fandango” of Luigi Boccherini. He carries out teaching activity for numerous Italian institutions as the Institute “Pellegrino da Montechiaro” in Montichiari (BS), the Academy of Music “Antonio Vivaldi” in Carpenedolo (BS), the Music institute “G.Moro” in Viadana (MN), the Musical and integrated arts school “Musicalmente” directed by Antonello Farulli in Verona.